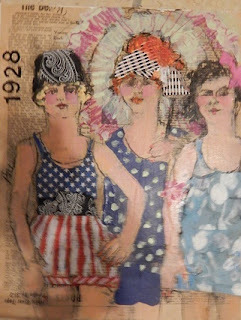 Working more on my Galveston Bathing Beauties, am in the middle of trying to sell my house, this is not conducive to being relaxed and creative. Miss my art so much. 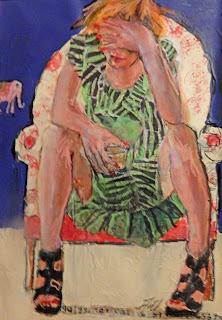 My piece "The Morning After" won first place in the Mixed Media division at the Sugarland art invitational.. There was alot of fantastic work at The Sugarland Art Center , a wonderful venue for artists. I taught a class there a couple years ago and am sceduled to do another one next year. Got to see alot of old friends at the same time. Fun.